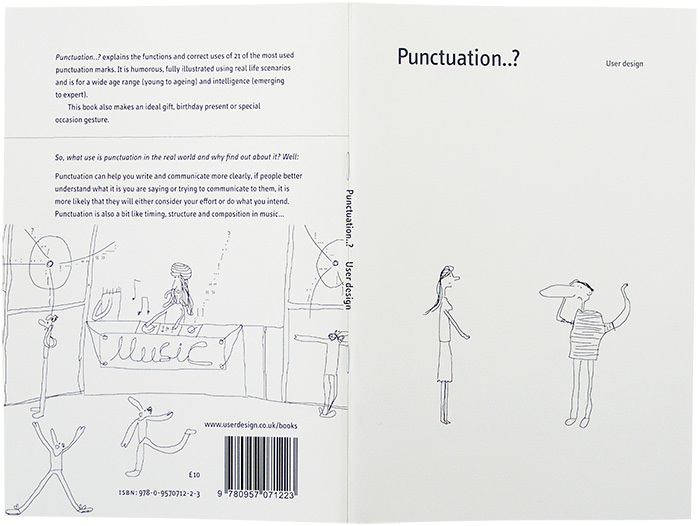 This summer I received a review copy of the lovely booklet Punctuation..?, published by User design in the UK. December is almost upon us and because I’m based in Germany I will skip Thanksgiving and go directly into Christmas mode. Here is a short review of a book that might be a stocking stuffer for a language and punctuation lover in your life. First of all, if you’re looking for a very serious rule book on how to correctly use punctuation marks, this is not it. If you’re looking for a humorous take on punctuation (putting the pun back in punctuation, if you will) and some whimsical drawings, then you might enjoy this book. Already the title Punctuation..? with the question mark completing the ellipsis is a visual pun and this sets the tone for the rest of the book. Punctuation..? explains the functions and correct uses of 21 of the most used punctuation marks. It is humorous, fully illustrated using real life scenarios and is for a wide age range (young to ageing) and intelligence (emerging to expert). Breaking down complicated and often highly contentious punctuation rules into plain language is no mean feat. This book manages quite well to breathe some life into the stuffy and technical usage rules we all know from our reference books. While it won’t replace the other tomes on my desk, the book’s style is great guidance for explaining punctuation choices to clients who are not interested in hearing quotes from the Chicago Manual of Style. John Kelly at the Mashed Radish wrote a positive review and I agree with what he said. Readers will find that the illustrations are visualizations of the examples used, but those who look more closely will discover that the punctuation marks in question are also incorporated in the drawings. Clever! Stan Carey wrote a more critical review over at Sentence First and I can’t really argue with what he says either. To be fair, he reviewed the first edition and a many of the issues he pointed out have been changed in the second edition I have here. Little quibbles aside, this book – pamphlet, really – is a pleasure to behold. It’s printed on wonderful heavyweight paper and still manages to show the title on the spine even though it’s stapled. 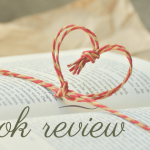 All in all, a well-made and engaging book.